Are you looking for a spiritual connection this Jewish New Year? To help members of Miami’s Jewish community find a place to worship, the Greater Miami Jewish Federation and the Rabbinical Association of Greater Miami have compiled a directory of area synagogues. We encourage you to review this list and call a synagogue for membership information. Make the year 5777 a time for Jewish renewal for you and your family, and a time to find personal meaning and connection with your community. Enjoy a special evening hosted by The Network and community partners. 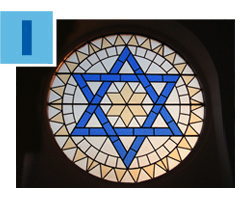 Join Federation’s Under 40 connection, on Friday, September 9 for a Blue & White Community Shabbat Dinner at Temple Emanu-El. Schmooze with old friends and make new ones. Candle-lighting and services begin at 7 p.m. Prior to September 1, couvert is $36 (after which it is $45) and includes dinner, dessert and open wine bar. For more information, contact TheNetwork@gmjf.org or call 786.866.8446. 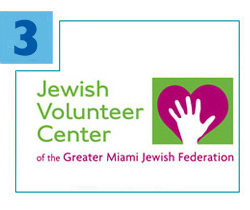 The Jewish Volunteer Center (JVC), Federation’s central clearinghouse for volunteer opportunities in Miami’s Jewish community, kicks off its teen volunteer program on Sunday, September 11. On the National Day of Service and Remembrance, young leaders will come together to plan volunteer programs for the year ahead, including JServe, the annual teen day of service that recruits more than 200 participants. The JVC offers opportunities year-round for volunteers of all ages to get involved. For more information, click here. 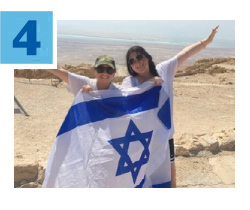 Since 2007, your donations to the Annual Federation/UJA Campaign have supported the Miami-Yerucham Partnership. Most recently, through the Sam and Gale Berlin Fund, Federation financed the build-out of a new Yad Sarah branch in Yerucham. 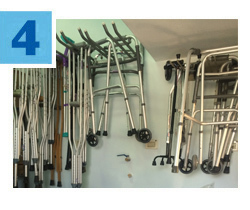 As Israel’s largest volunteer-staffed organization, Yad Sarah provides health and home care services to more than 500,000 people of all ages, with special programs for children, older adults and those with disabilities. Yad Sarah also receives funding from the Annual Federation/UJA Campaign. Read more. Although school has just begun, it’s never too soon to start thinking about next summer’s plans. Join Russian Speaking PJ Library Miami and Camp Judaea for lunch and mini-camp on Sunday, September 11 at Chabad Russian Center in Sunny Isles. Camp Judaea staff will discuss programming with parents, while counselors entertain the kids with fun, camp-like activities. The event is free, but registration is required. Russian Speaking PJ Library Miami is funded by the Genesis Philanthropy Group. PJ Library in Miami is a gift from Federation made possible by the Harold Grinspoon Foundation and the Blank Family Foundation. For more information or to RSVP, please contact Larisa Svechin at LSevchin@gmjf.org.